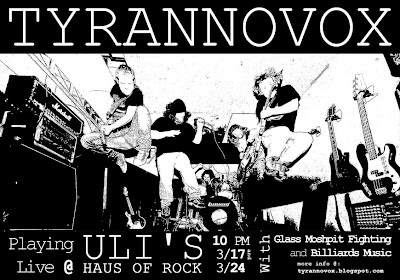 We will be playing at Uli's Haus of Rock on Thursday, March 17. Appearing with us will be Glass Mosphit Fighting and Billiards Music, both very excellent bands whom we've played with a number of times. 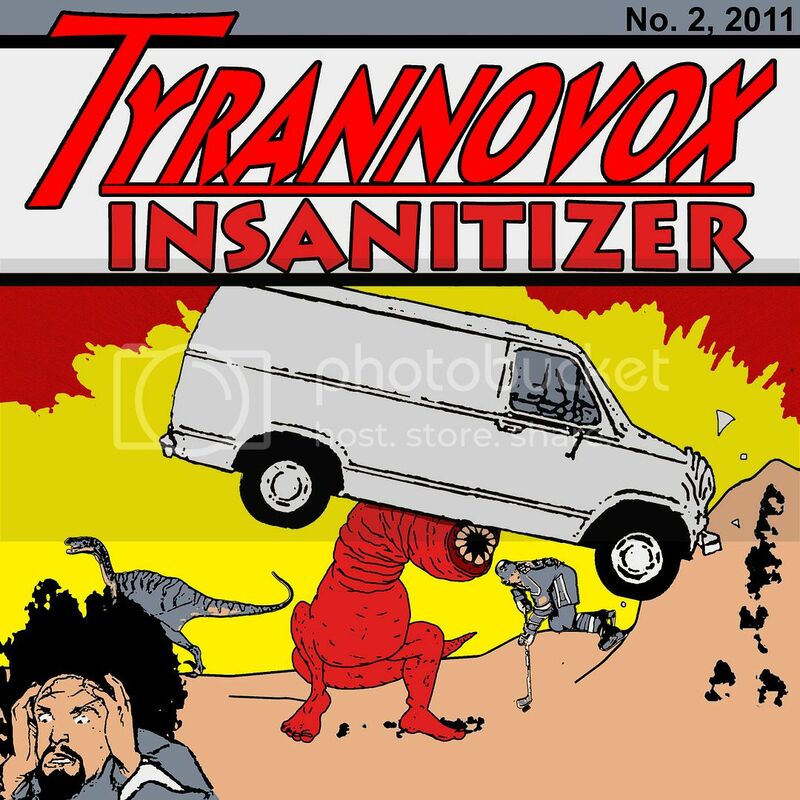 It's going to be a great show. 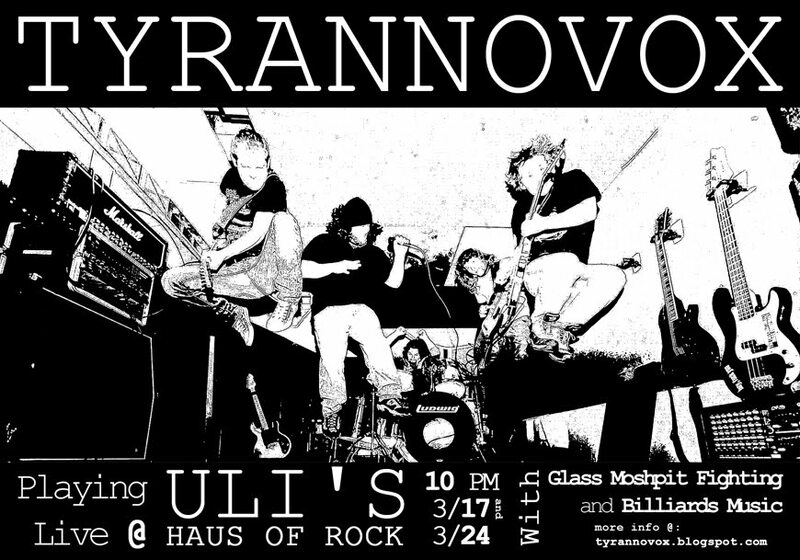 And, as if that weren't enough, we will be returning to Uli's with the same lineup of bands on Thursday, March 24. Come to one, or both! Three bands for a very modest door charge of 5 bucks. Show up before 10 PM, buy plenty of food and drink, and be sure to tip the wait staff.